It takes all kinds to make the world go round, or so they say. Girlfriends don’t always agree and as much as many of the women writing for this site are avowedly single, I want a partner again. Partnered relationships aren’t for everyone. They take a lot of energy, they require compromise and sometimes a commitment beyond what seems reasonable. 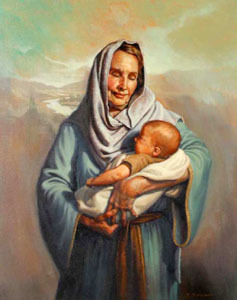 Just look at the biblical Sarah, a woman married to a man whose search for meaning brought her a pregnancy at age 90! She laughed when she heard this prediction, just as I would have laughed if told what my marriage would help me grow into by midlife. Thus, I respectfully submit to the Girlfriends my list of what I have learned about long term relationships. How do I say this without turning this into a racy post? I can’t help but be drawn to men. They smell good and I lose my focus when they take their shirts off at the gym. My attention is forever drawn in their direction, siphoned off in a deliciously distracting way. A stable relationship with a good match frees me to focus on something other than finding a mate. It also supports my endeavors and helps me find creative ways to accomplish my goals, but that brings me to my second reason. A partnership involves a closeness, a sharing of things big and small. I find it satisfying to share my daily stories, problems and solutions with someone who isn’t compelled to care, but wants to hear it anyway. I also like having someone who will let me tell him about my fascinating homemade dishwasher detergent recipe and doesn’t mind if I text him pictures of my beloved chickens. The foundation built by what seems like trivia makes my world more stable and interesting. I don’t know if everyone feels this way, but I enjoy supporting another person’s endeavors, as much as I enjoy having him support mine. It brings me great satisfaction to know I’ve provided stability, opened a door or otherwise enhanced the life of someone else. My most meaningful influence has been on long term partners because of the time and intimacy involved. When I meet someone new, I ask him about his history and tell him about mine. Hearing the intimate details of another person’s life, what he thinks about his past loves, children, parents and friends, draws me in. A partner gives me the opportunity to link my story to that of another. I’ve saved the best for last. I never grew so much as I did during my marriage. All the struggles, disagreements, vast joys and small pleasures revealed to me something of the nature of love. It is not hyperbole to say it helped me understand God. Every one of us has her own journey in life. I have no quarrel for those who take a path without a partner and I’m grateful we have the freedom to choose for ourselves. Being part of a couple isn’t always easy. I’m no Cinderella and I’m not looking for Prince Charming, but the fact that nobody really lives happily ever after doesn’t discourage me either. Just call me Sarah, willing to take the risks and laugh. I was single for 19 years Bonnie, and thought I’d never get married again. What happened was I slowed down enough in my life to have the time to spend with someone, and being an avowed “self-growth” lover I knew I had come as far as I was going to go alone. So when I met Ron I was ready. I thought I’d just be in partnership, but, commitment was another area of self growth I wanted to explore, so we are married. I admit…I love being married to this man. I don’t believe that everyone should be in a relationship to be complete, but if it is something you want…I wish you well! PS…I met him on match.com. Yup, true story. Thanks for such an honest and open expression of what you want, Bonnie. I am now ready for another partnership for all the reasons you name. Well, I don’t have chickens or a homemade dish washing detergent to talk about; I’m sure I have similarly “interesting” topics to share. Another reason for having a partner is the sexual bonding. It’s supposed to be good for your health and your psyche. I don’t want to wait until I lose 20 pounds or pay off debts. I want to get out there and start dating again now. I hope Jane will stop worrying about those bills and realize she is great just as she is. In these geezer years I have come to see the value added a husband could bring. But I fear no one will marry me with all my credit card debt. Once I work that off, a young buck – that is a 50-year-old guy in this senior-citizen complex might come courting. I think most people want to share their lives w/ some one .. I know I do. How we define a ‘good relationship’ remains so personal. Thanks for another great post.